Nine years ago today I had my graduation show at Joey’s Comedy Club. Since then I’ve done over 1480 shows. Some comedians argue about the benefits of comedy classes. I like them, but with an asterisk. I don’t believe you can teach someone to be funny. I think it’s like playing a musical instrument. You either have an ear for music or you don’t. It’s the same way with comedy. Either you have an ear for what a joke sounds like or you don’t. Yeah, like with music, you can teach the mechanics, but some people just are never going to get it. They don’t have that natural ability. Believe me, I wanted to play bass so badly. Practically all my friends when I was a teenager and in my early twenties were great musicians. A lot of my friends to this day are still great musicians. I just don’t have a natural affinity towards music. I practiced and practiced my bass until I was passable in a punk band where I wrote most of the songs so I knew I didn’t throw anything out there that was beyond my ability. My first passion is music. If I could do that, I would. I hate that I can’t. I took guitar lessons and tried, but at the end of the day someone else with a natural ability was going to have a much easier time and go a lot further. It’s the same way with comedy classes. Some people take the classes with no ability, but they want to be a comedian so bad. They’ll never really figure it out. Some people have that ability and just need little pushes in the right direction. 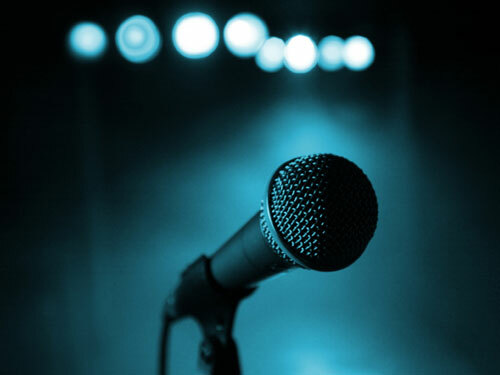 Some people may be amazing writers and just want to conquer their fear of public speaking. For that matter, some people may have no interest in comedy at all and only want to conquer their fear of public speaking. I believe comedy classes are a good thing…as long as their being taught by a comedian. There was, for a time, a stand up class being taught by a local actor. I guess that class was for students who wanted to learn how to act like a comedian. Bill Bushart taught my class. Bill himself is a great comedian, but what makes him an even better teacher is his ability to almost immediately tap into a student’s sensibility and punch up the material in their voice. Bill is a master of tagging jokes and in my opinion the best teacher out there. I don’t know how things would’ve been different for me had he not been my instructor. I’m glad I took comedy classes and started this pursuit of this craft. I’ve never worked hard for anything in my life before this. Everything I did, I did because it came easy to me. I’ve sacrificed more for comedy than anything else or anyone else in my life. I don’t know that I’ve made the right decisions always. At times I’m almost certain I’ve made the exact wrong decisions. Comedy has given to me and it’s taken from me. I’m so deep in it now that I don’t see a life without it. I love comedy like a junky loves their fix. At moments of lucidity I see comedy as the Symbiote that at first helped Peter Paker and then later tried to destroy him. But when I’m on stage, I’m high and I like it there. Looking back, if I were to give anyone advice starting out, it would be to set boundaries. Look at the things that make you happy now and never let comedy step on those things or take those things away from you. When you sit down with a note book to write new bits, write yourself reminders about where you are and what’s important. My personal experience is it’s hard to balance the life of a comedian with the real world. I think the people who have are the people whose real world really started once they reached a certain level of success. I don’t know. All I’ve learned in the past nine years is that I’ve amassed a lot of opinions about things and an ability to spew them without having any real knowledge of anything at all. And that’s what comedy is really…when you break it down. One person in the spotlight spreading their thoughts to a somewhat captive audience. Well…this return to the website took a weird twist, eh? Welcome back. Can Heckling Be a Two Way Street? My buddy posed a question to me yesterday morning. At first it sounded to me like he was asking why it was okay for a comedian to talk to someone in the audience, but it wasn’t okay for a person in the audience to talk to the comedian. My knee jerk response was that people pay to hear the comedian speak, the comedian never pays to listen to the audience member speak.